Stanzi, like most teenagers, attends high school but that’s where the similarities end. Everyday there’s a bomb threat and the students are ushered outside to learn. The secret love of her life, Gustav, is building an invisible helicopter. Her best friend swallowed herself and her other best friend is a pathological liar. 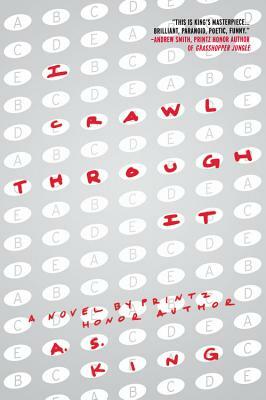 Together they crawl through the challenges of high school the only way they know how, beautifully and bizarrely. A.S. King will get you to think about, laugh with, and love these characters.